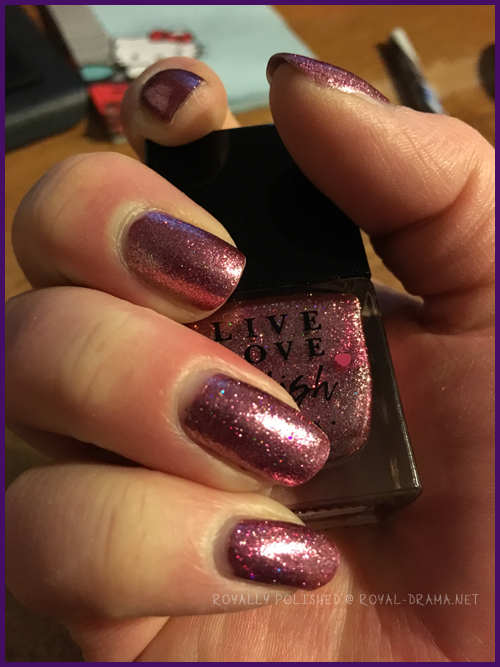 Note: I applied this polish on January 9th and took the photos on January 10th. 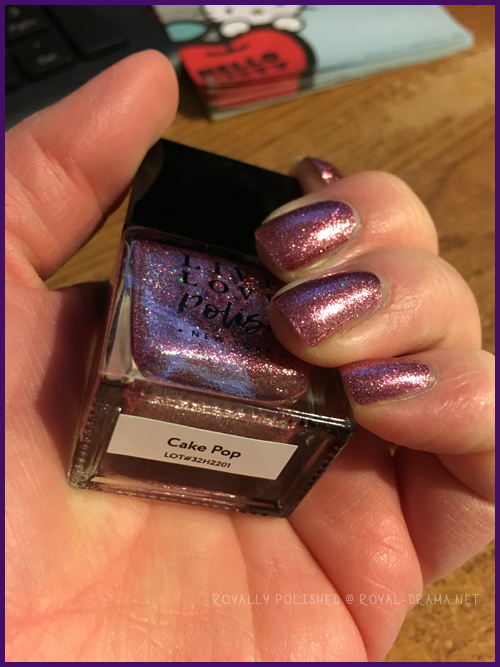 I kept getting emails about this nail polish and I was like, nope, I am not giving in even though I wanted it very very badly. It was limited edition and I ended up not buying it. But then...I was sent an email that you got this polish for free with a purchase of another polish and I was like SOLD! Haha! I am SO happy that I gave in and bought it. The color is so awesome. 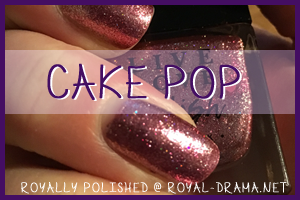 It's a metallicy pink with holo bits in it. It is seriously super stunning in person. The first coat was a tiny bit thin in certain spots so it did end up needing two coats. The dry time was really good for the polish which is always a bonus for me. My only gripe with this polish is that it is a hot mess to take it off. The bits of holo are super tiny so they went everywhere when I tried to take it off. I do admit I was in a hurry so I could have went about it a bit better but with the holo not as super prominent, I didn't think it was going to be an issue. Overall I am giving this polish a 5 out of 6 stars. The color is STUNNING! If you can find it, get it! 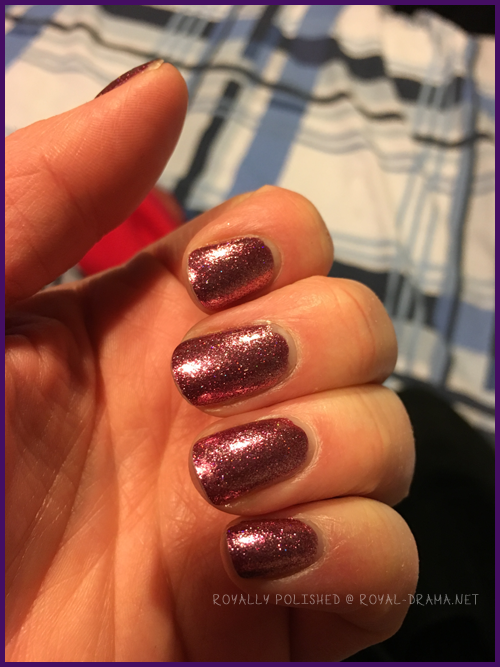 The holo is a bit of a pain when taking it off but if a bit of glitter wants to stay on my nails/hands/desk/everything around me, that is fine with me.